Welcome to the Plose Ski Resort. The Plose is located in South Tyrol, right next to the Brennero – Modena Highway, only one hour’s drive from the airport of Innsbruck away. The closeby town of Brixen (only 7 km from the bottom station of the cable car) and the Plose form the ideal destination for your winter holidays in South Tyrol. 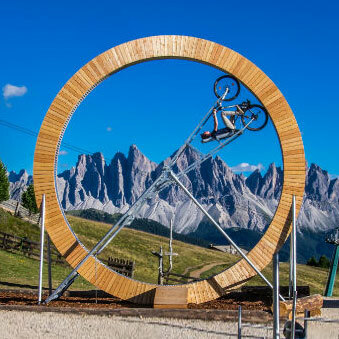 For winter sports lovers the Plose is and will remain a real insider’s tip within the Dolomiti Superski carousel. What makes it an ideal destination for your ski holidays: 7 modern lifts – more than 40 km ski runs of all levels – good snow conditions – homely huts and restaurants that offer great dishes – sunny slopes – RudiRun, with its 9 km one of the longest toboggan runs in South Tyrol –Snowshoe Trails – Winter Hikes – FunPark. But above all, here we have the TRAMETSCH, the longest valley slope in South Tyrol with 9 km length and 1,400 meters in altitude. A true challenge for any skier. Plose is thus the right place if you are looking for skiing, tobogganing or winter hiking in Südtirol/Alto Adige. Sunbathing on one of the sun terraces and enjoying a great dish, feeling oneself part of a majestic nature because of the impressive Dolomites – all these moments make you feel really fine. Winter holidays on the Plose means winter holidays on the sunny side of the Alps. All of you make part of our big family. It does not matter if you are a fan, a guest, a friend or a partner, as long as you are looking for common interests, a nice company and you wish to feel at home. Whether you are a Daddy, a Mammy, a Junior, a Girl, a Boy or a Kid, on the Plose for every single member of the big Plose Family his/ her individual wishes come true and they live a cool, thrilling, relaxing or cheerful experience. Everyone who loves the joys of wintertime tries to live them as often as possible – exactly this wish unifies the members of the big Plose family and may be also for you a good reason to come for a visit. The message is: To do what makes you happy, and brings benefits to your heart, brain and health. Starting from last winter season skiers may enjoy a panoramic ride in the new gondola lift Pfannspitz: in less than 5 minutes the 35 cabins which can seat 10 persons each, take the guests to the top of the Mount Pfannspitze. The cable gondola lift has a transport capacity of 1800 persons per hour. This popular blue slope, Plose, Nr. 12, has been optimized in the area below the top station of the chairlift Schönboden. It has become a really wide, homogeneous piste that offers great views of the Dolomites. It is absolutely worth a try and offers great skiing pleasure. Tobogganing is definitely a highlight for children and grown ups, especially for families. The Toboggan run RudiRun with its 9 km is one of the longest toboggan runs in South Tyrol. It starts right next to the top station of the gondola lift Plose and runs down for 1000 metres to the bottom station. Starting from the end of December an expert will be at your disposal every Sunday and explain the technique of tobogganing and give you suggestions for having even more fun. Plose Night is the perfect frame to a very special night in one of the huts on the Plose. Wheter with your friends or your family – you will always have a great time. In addition, at the end you can sled along the 9 km of the RudiRun tobogganing run that is illuminated from top to bottom. Every friday night (starting from January). Get your toboggan equiped with an innovative light system that perfectly lights out the slope in front of you. The snowpark is the gate to the realm of freestyle. It is right next to the mountain station of the Schönboden lift. On more than one kilometer freestylers are expected by an Easy Line and a Pro Line, kickers, tabletops, rollers, rails, fun boxes and other highlights. Come in and have fun at Funpark Plose. 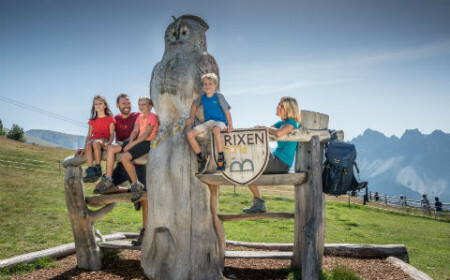 The uniqueness of the ski area is underlined by the BrixenCard, your personal ticket to a whole range of benefits and free attractions. As owner of the BrixenCard you can use public transport all over South Tyrol and enter all public museums for free. Among many other benefits, you can ride free to the Plose by cable car once a day or enjoy yourself in the fun swimmingpool Aquarena”. Interested? Read more on www.brixencard.info.